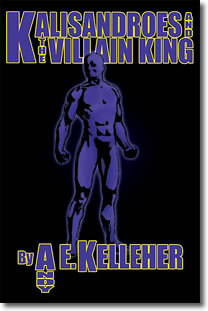 Kalisandroes and the Villain King is a must read for all action/fantasy fans. Centered on the timeless, mythological Kingdom of Kalisandroes, this fast-faced epoch briskly pulls the reader through a full spectrum of human agonies and triumphs. Subplots weave and converge in a helical rhythm embodying conflict, loyalty, love and the dire consequences of divine betrayal. Once known as the City of God, Kalisandroes is now ruled by a despotic ruler possessing no tolerance or regret. He has sealed himself as the known power, but the change in wind is swift and quick, forgoing debate from rulers with agendas of conquest. War is what the City of God shall have, but there are a few pawns having within themselves the will the change the outcome. . . Available through AuthorHouse™ and other fine bookstores. Read the prologue. . .